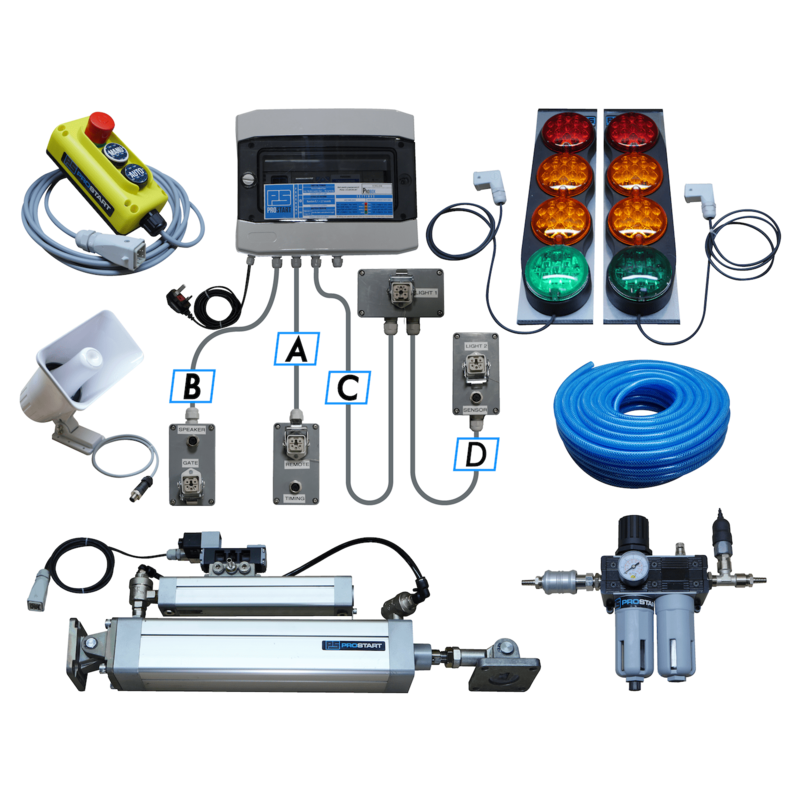 This page proposes you to learn more about our complete gate control kit to run a homemade metallic gate with professional electric & pneumatic parts. 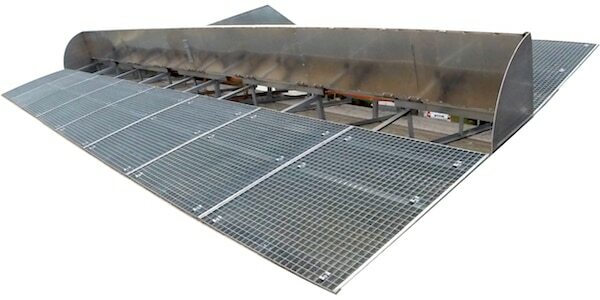 The gate control kit we offer you is exactly the same than the one included in our complete 8-rider gates. 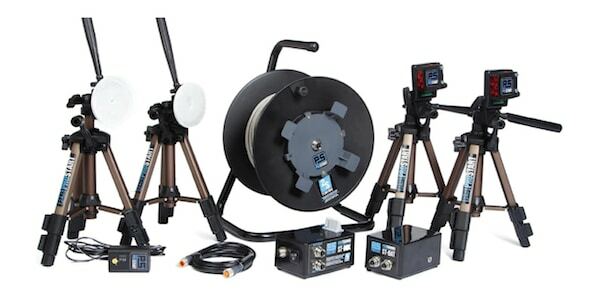 So you can consider, after getting more funds, to complete this kit with a proper Prostart gate and the general performance will be increased without ordering a new gate control kit. From the beginning of our business, we have always thought to fix permanently the brainbox and put on Plug & Play the remote control & starting lights. It allows to never move & remove the most important parts of the system and make sure nobody will touch it. So in putting the brainbox in a dedicated control room close to the compressor, it’s the best way to improve the lifespan of the whole material. Then simply let us know the different lengths “A / B / C / D” and we will prepare everything as you wish. 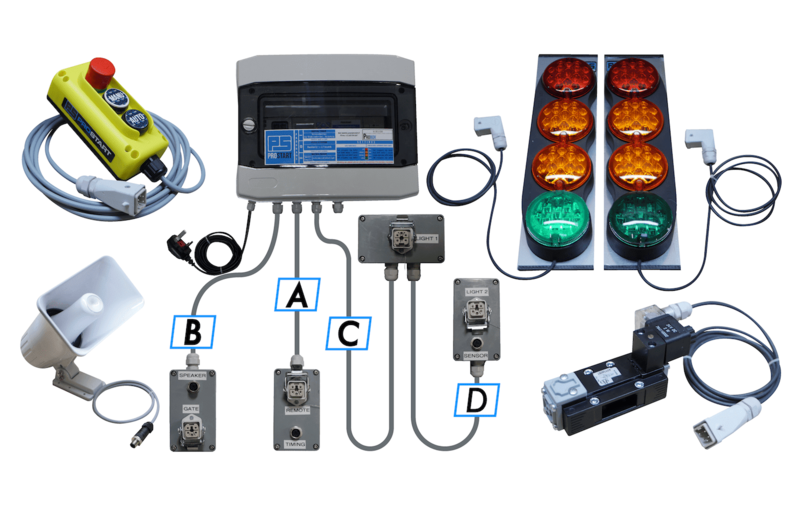 What are the advantages of the Prostart gate control kit compared to another? Before working on starting gates market, we had a solid experience in industrial environment where we were in charge of the production of electrical system for concrete factory. It means the design of the whole electricity chain and the creation of adapted software programs. 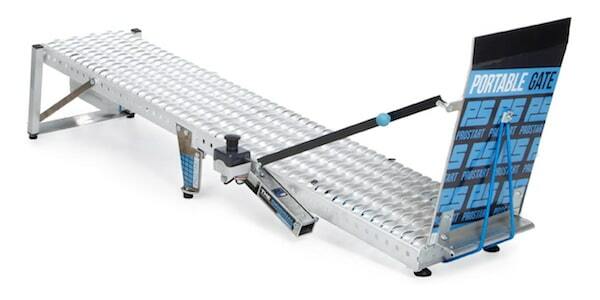 We took the benefit of this huge experience to create BMX brainbox based on industrial programmable logic controller (PLC) running on Ladder logic language. We insure to respect to the letter the UCI regulation and use quality components working for a lot of different applications. Better to trust multi-application components than a specific one which can’t evolve in the future. It also means that we are able to update easily any Prostart brainbox if the UCI expects to change the regulation. When the boss used to train in France (long time ago…), it was always a problem to define which person is gonna operate the gate. Because there are only riders at the track, we had to do a rotation to have a new starter at every drop, so we can all do gates. That’s why we decided (since 2006), to create an automatic mode which run 15 starts without pressing any button. 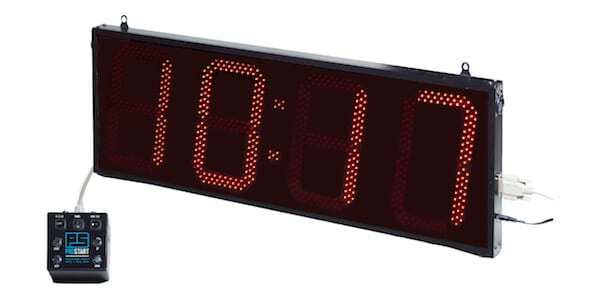 Of course, we allow to set the delay between two drops at 30 seconds, 1 minute, 2 minutes or 3 minutes. So, we simply adjust the delay according to the number of riders on the training session and what type of exercise. Let’s train all together! We designed this automatic mode also to define a fixed rest time between each drop. You set your delay at 3 minutes, you launch the automatic mode and you know that your training gate session is going to run for 45 minutes exactly. (15 starts every 3 minutes) Have always the same rest time between gates helps you to improve constantly your performances. The unique solution to get constantly gate skills is to change at your home track the timing of the gate. Train on late and early gate will improve without any doubt the capacity of adaptation on any gate timing. Official gate timing is fixed by the UCI : When the green light comes on, the gate start drop signal is activated. Adding a First-aid case (mettre le lien de la page produit) with your gate control kit is a great combo to make sure you will have a system ready to operate in very long term and if a problem occurs, it’ll be fixed in no-time! We designed your brainbox of industrial & modular components. So it means you can change every part pretty easily and quickly. A great asset for club looking to secure their events from potential disruption(s). 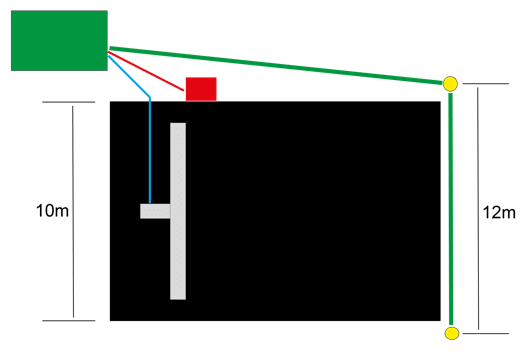 Multiple accessory around the startgate. 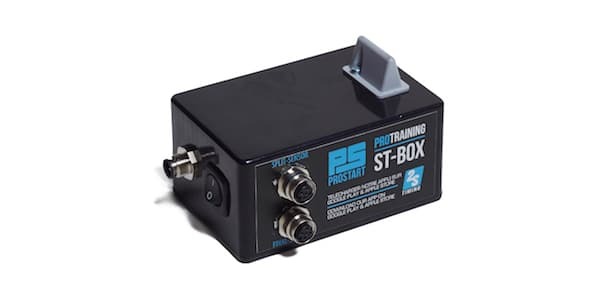 We designed several extra products to improve the utilization of Prostart gates such as wireless remotes, training timing systems page and high digit display for competition. We invite you to check on our webshop these different accessories to understand how they can improve your facility and members of the club. 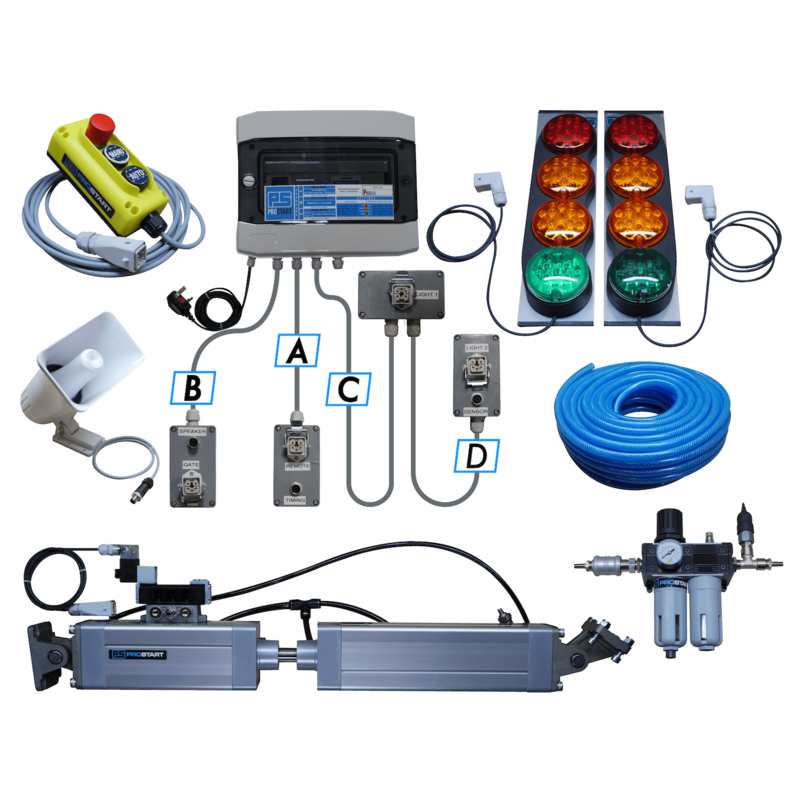 Due to technical settings, we can’t offer a DIY STARTING SYSTEM – Gate control kit for 100% electric gate. 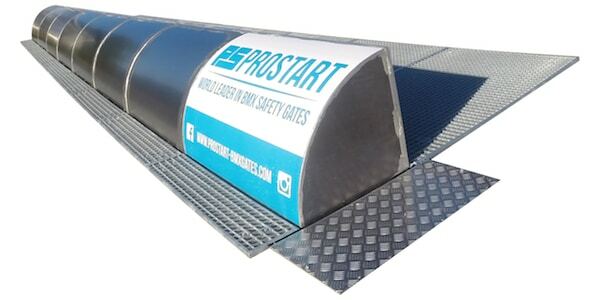 If you want to run a 100% electric “state of the art” gate in your track, the only way will be to purchase the whole Prostart gate including installation by the Prostart staff. 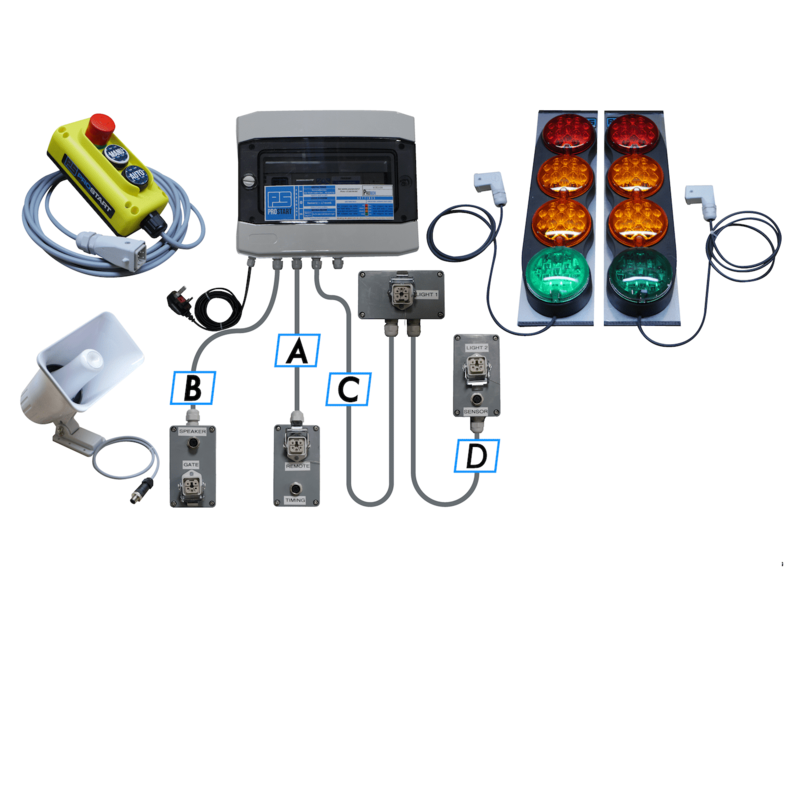 In the Prostart webshop, you will be able to order directly your ready-to-use Gate control kit. Prior to the reception of the kit, you have to dig the ground and install conducts. When you’ll receive the kit, the priority is to install permanently the brainbox in the control room. Then disconnect the cable in the grey plug box of the remote control from the terminal blocks. Through the cable inside the conduct and at the end, simply reconnect the cable as it was before. Repeat this operation for the two starting light cables and the gate’s cable. When all the cables are underground, the next work will be to fix the ram. All the information concerning the fixation of the ram will be sent by e-mail upon request and according to our choice, at late after reception of the order. If you order a straight gate, the ram will be fixed on top and you’ll have to make by yourself the back leg to support the ram. Ram will need to be moved / removed after every session.